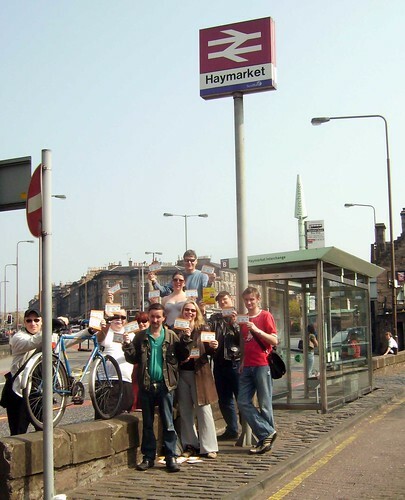 Campaigning at Haymarket, originally uploaded by alister. Out on the campaign trail, here at Haymarket station spreading the free public transport message. And if you live in Pentland Hills ward you can vote for me you lucky people.